Diagnosis of secundum atrial septal defect (ASD) is made by echocardiography and cardiac catheterization is reserved for the rare case in whom evaluation of hemodynamics is needed. If the ASD measures 5 mm or more, repair is recommended. In those defects that are smaller, repair is indicated with associated right ventricular (RV) dilatation or other evidence of RV volume load. In most centers today, closure of this anomaly beyond infancy is offered by the invasive cardiologist using one of a variety of prosthetic devices. Long-term results are being evaluated for this technique. 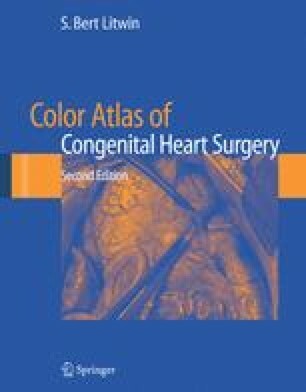 Certain anatomical features contraindicate device closure and complications, including early failure of closure or residual ASD, early or late thromboembolism, serious arrhythmias, aortic insufficiency, interference with mitral valve function, or erosion of the device with catastrophe, convince many families to use the long-tested and reliable technique of surgical repair.